Volleyball » Royal Stewart Ltd. There is no way to avoid it: volleyball hurts. But what doesn't, is taking a look at our line of volleyball equipment. From standard pieces, accessories and repair parts to the more particular items, like floor sockets and drop-in caps – Royal Stewart will serve the perfect product. 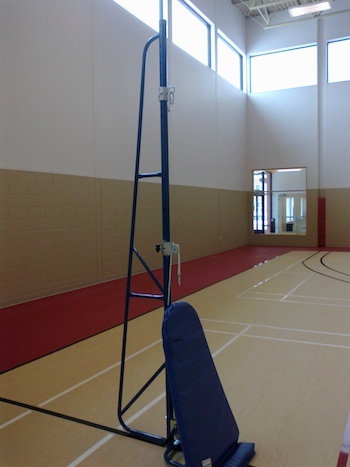 We offer a set of fully adjustable volleyball posts made of round tubing (as recommended by the Canadian Volley Association) with non-marking rubber transport wheels and all other pertinent accessories to assist with setup. Sometimes in life, our volleys go awry or our attack passes don't hit according to plan, resulting in that hard ball catapulting into the net. This is why Royal Stewart guarantees our volleyball net with steel cables as well as our post pads, are both safe and durable. 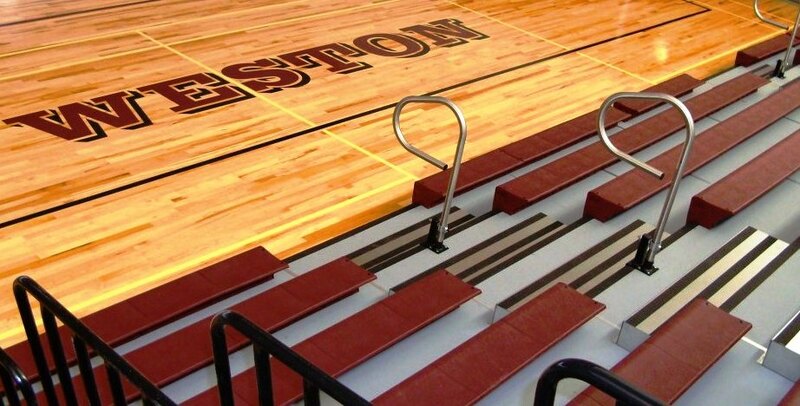 When it comes to monitoring the rules of the game, one referee stand is recommended per court. Our referee stand attaches to the standard RS 105 system (used in many national and international tournaments) so you know exactly where to look when the official holds up a yellow card. Speaking of warnings: our quality equipment may cause love at first spike.